They are closed for renovations till next month with the promise that they'll be back with a new look but the same great taste. I'll probably pop by sometime next month to see whether to the food is still good or whether this whole renovation thing is a precluder in a sly change in management. 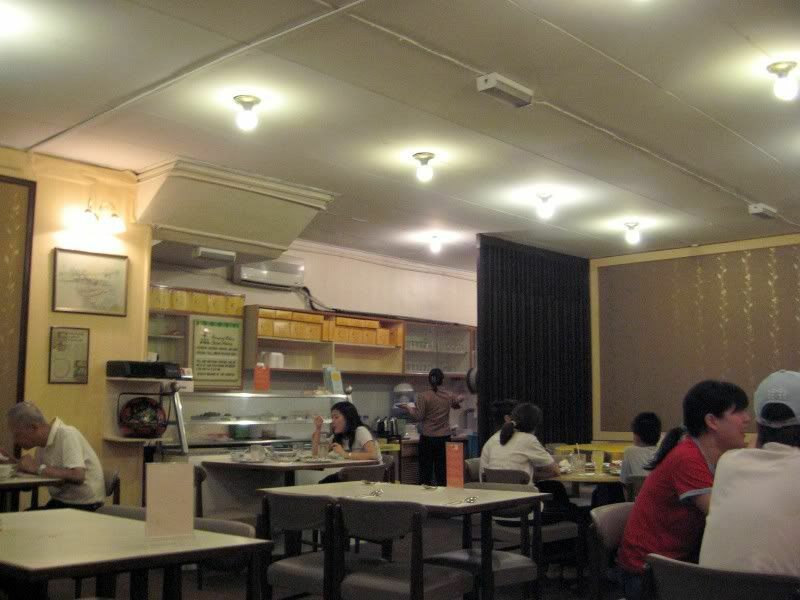 This restaurant, serving traditional Nyonya cuisine is very simply called Nyonya Restaurant and has been around for as long as I can remember. 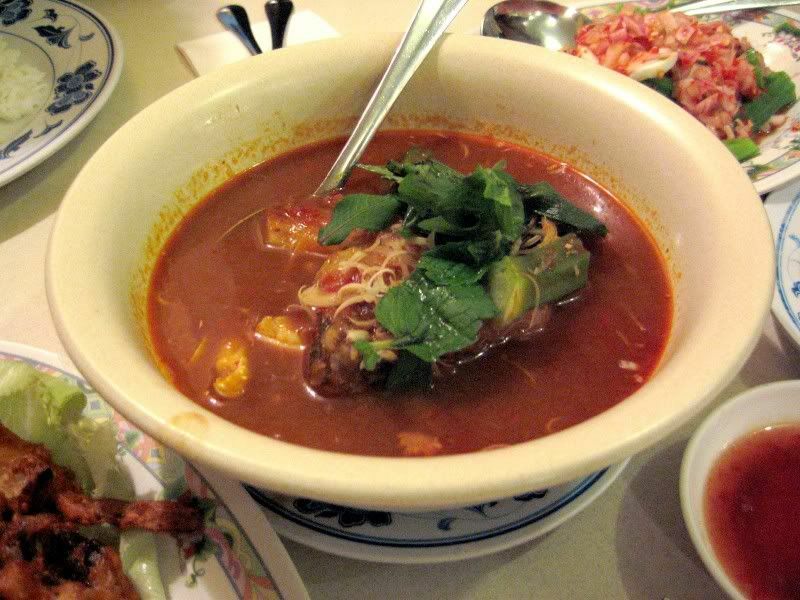 It's been through about 3 changes in management and 2 renovations but the wonderful thing about Nyonya is that it has somehow managed to maintain a consistent quality in its food. 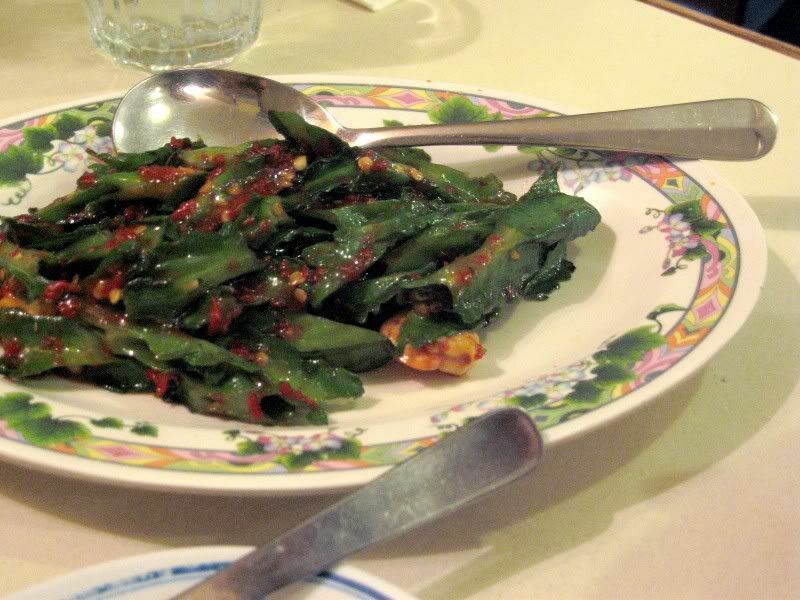 The Kacang Botol (Four Angle Beans) fried with Belacan and (a few) prawns was yummy as usual - fresh and crunchy with that fragrant Belacan taste, without being too oily. 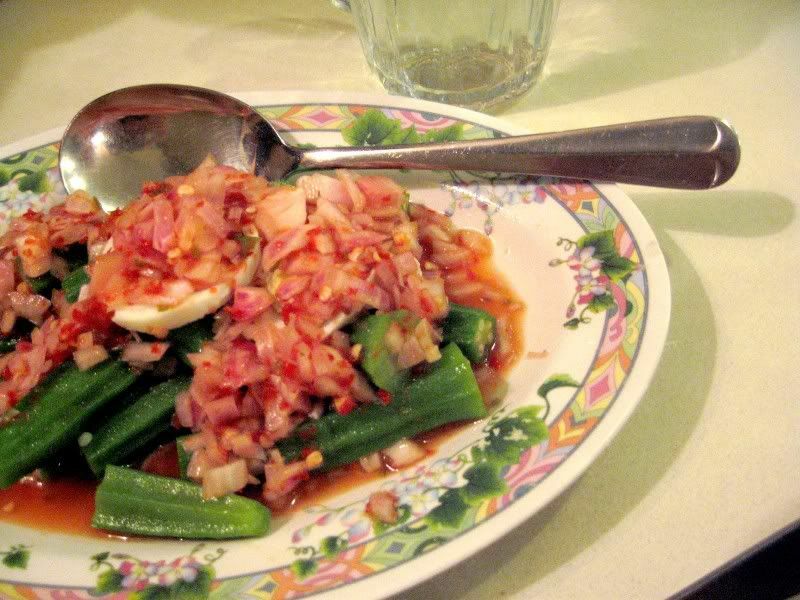 The Kerabu Ladies Fingers was also good - the deliciously tart sour taste of the "Kerabu" sauce went very well with the texture of the Ladies Fingers, onions and egg. Two dishes that I must always have are the Beef Rendang and the Gulai Tumis Fish. 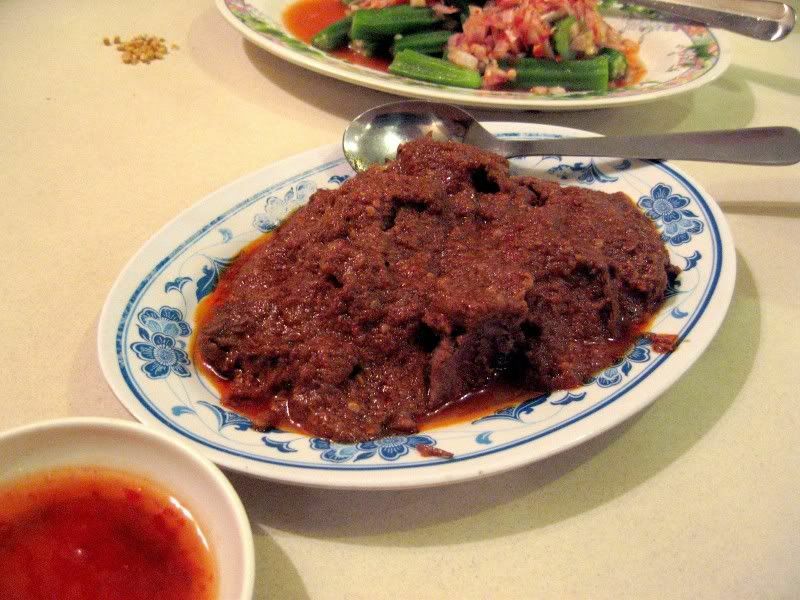 Sadly, the Beef Rendang can be a bit "if-fy": one day it can be gloriously, melt-in-your-mouth tender but on others, it can be a bit tough.... The fish though, with its spicy and sour sauce and bits of mint and pineapple is consistently good. 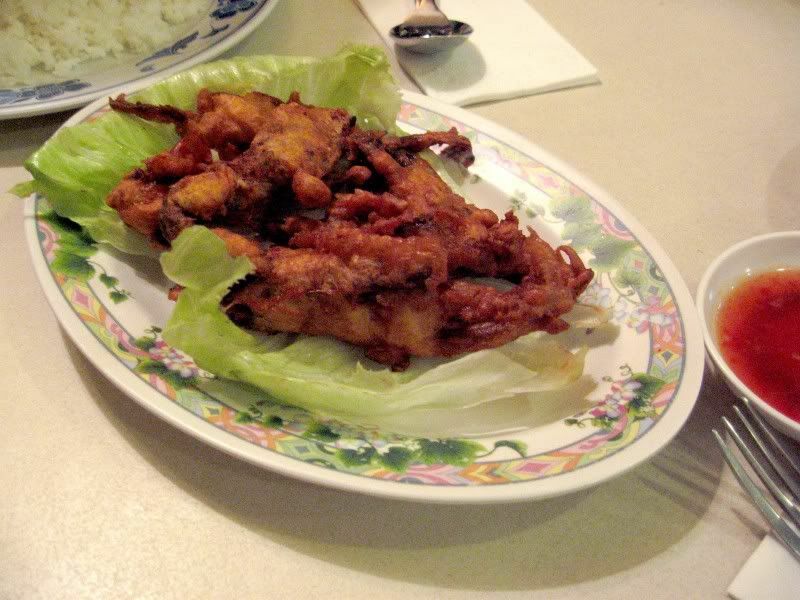 The Deep Fried Soft Shelled Crab has also quickly grown into a favourite for my family as its crispy texture is really addictive. Other food that I would recommend would be the "Inchi Kaebin" (Nyonya styled fried chicken) and the "Otak-Otak" (Spicy Fish Cake). They do their sago really well - the texture is silky and "tender" without any starchy taste and it's also not too sweet, with just the right amount of gula melaka. 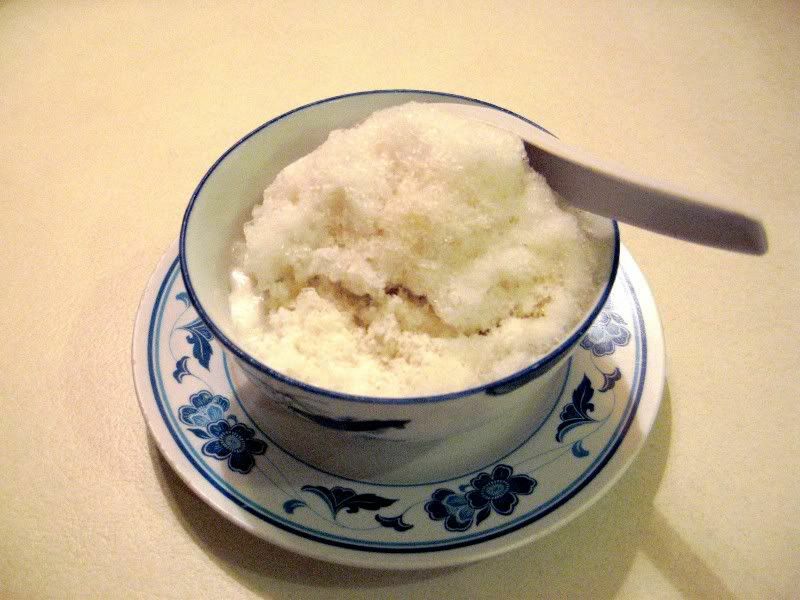 The Ice Kacang and various Nyonya kuih here are also good and worth a try. So, it's: Consistent food quality, unpretentious environment, reasonable (still, not exactly cheap) prices BUT some hits & misses on the menu and servings are a bit small. Wah wah I like Nyonya food. Thanks for the info. Will try it one day. Oh, when did you all go? Thanks for featuring our restaurant in your blog. I came across it while doing a search. Anyway, just to inform you that there is no change in ownership. The renovation is just something that had to be done :) (I'm sure you agree! )as it has been a while already. 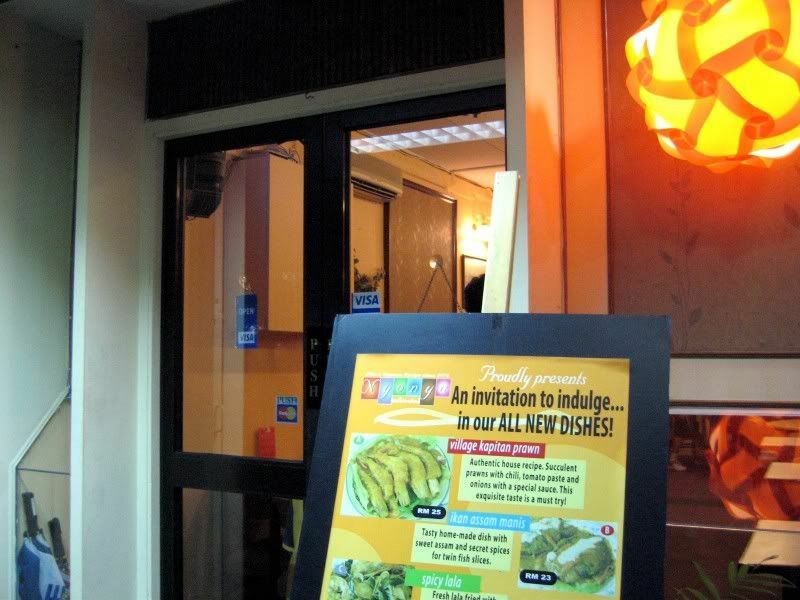 We want to thank our faithful customers with a better dining experience after having been with us all these years. It's indeed our pleasure. Thanks so much and God Bless you! I'm glad to hear that there's no change in mgmt (and I'm assuming, no deterioration in the quality of food either). Thanks for dropping by/ leaving a comment and please keep up the good work!